Joshua Nkomo, Morgan Tsvangirai, Dumiso Dabengwa, Lookout Masuku, Abel Muzorewa, Tendai Biti, Renson Gasela and Ndabaningi Sithole all have something in common. The firebrand politicians challenged former strongman Robert Mugabe and their careers were put on hold as they faced capital punishment. At some point in 2016, 46 activists were charged with treason after they were caught watching footage of the 2010 Arab Spring — the mass protests that led to the ouster of Zine El Abidine Ben Ali in Tunisia and Hosni Mubarak in Egypt. Mugabe in his 37-year-long hold on power routinely charged his opponents with treason to ease pressure on his administration before he was toppled by the army in 2017. Only Sithole, a Mugabe rival since the liberation war years, was convicted of treason, but he died before the Supreme Court could hear his appeal against conviction. Mugabe's successor, President Emmerson Mnangagwa, pledged to discard some of the former Zanu-PF leader's strong-arm tactics, but a string of treason trials of opposition and civil society activists has left analysts drawing parallels between the new regime and the previous administration. 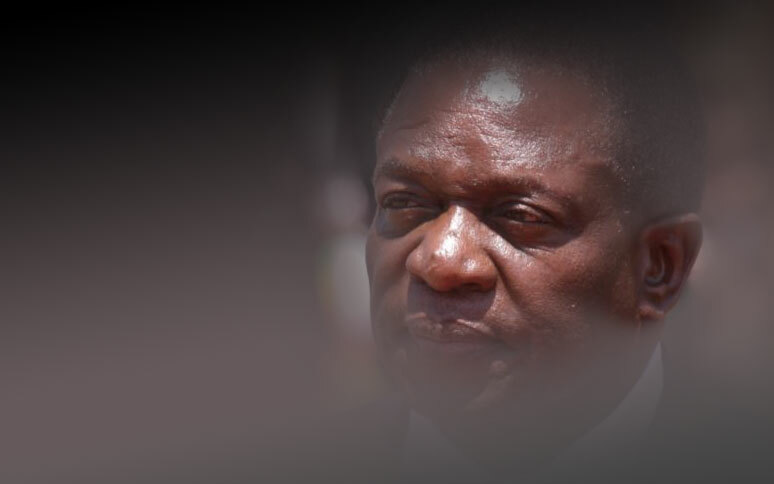 Since the January 14 protests that shook Mnangagwa's administration, which unleashed the army leading to the death of several people, at least 12 people have been charged with treason. They include Zimbabwe's youngest Member of Parliament Joana Mamombe (Harare West), #ThisFlag founder Pastor Evan Mawarire, outspoken Kuwadzana MP Charlton Hwende and MDC Alliance organising secretary and MP Amos Chibaya. Others are Zimbabwe Congress of Trade Unions (ZCTU) leaders Japhet Moyo and Peter Mutasa, Amalgamated Rural Teachers' Union of Zimbabwe president Obert Masaraure, Crisis Coalition of Zimbabwe director Rashid Mahiya and Zimbabwe Youth Alliance president Kumbirai Learnmore Magorimbo, among others. The charges are all related to the three-day stayaway organised by the ZCTU and the subsequent violent protests that rocked mainly Harare and Bulawayo as Zimbabweans vented their anger following the steep fuel price increases. Alec Muchadehama, a renowned human rights lawyer said treason charges were used by the Ian Smith regime during the colonial era to suppress a rebellion by the indigenous people and after the advent of majority rule, the Mugabe government just carried on from where the colonialists left. "Before independence, the Smith regime used treason charges to detain political opponents for longer periods without trial," he said. "When they got political independence, the people who came to power realised that treason charges worked to suppress political enemies so they perpetuated the system. "It is just like that even up to now, so it's nothing but politics and no law at all." Muchadehama said just like in the past when the prosecutors struggled to get convictions in treason trials, the latest cases were likely to collapse. "They are unlikely going to get convictions on the facts of the allegations because the offences are not sustainable," he said. "If there is conviction, that conviction would be suspect. They tried it on Tsvangirai and they failed. "On Nkomo they failed, they tried it with so many people. "The charges were only designed to suppress political enemies and to disrupt their lifestyles so that they concentrate on their matters in court." MDC Alliance spokesperson Jacob Mafume claimed the military was behind the treason trials, saying they were dictating terms in Mnangagwa's administration. "The arrests of our party members show that Zimbabwe is under military rule and the regime only knows one way to respond to democratic discontent," he said. "Their view is that any democratic discontent is treasonous. "Therefore, they are operating under a court martial formula and they have turned our civilian courts into court martials where proceedings are done with minimum rights to the accused. "The Zanu-PF government is charging everyone with treason, which is a clear attack on democracy and freedom of expression." He said the judiciary risked harming its reputation during the trials after a High Court judge barred Hwende from using social media as part of his bail conditions. Derek Matyszak, a senior research consultant at the Institute of Security Studies, wrote that Mugabe and Mnangagwa's leadership styles were not different. "The brutal response of the military, under Mnangagwa's ultimate command, has obscured other alarming marks of his authoritarian style of governance," he wrote. "This doesn't come as a surprise. In his last few months in Robert Mugabe's government, Mnangagwa was the driving force behind two anti-democratic changes to Zimbabwean law. "One was an amendment to the constitution that sharply curtailed the independence of the judiciary. "It reduced the involvement of the Judicial Service Commission in the appointments of the chief justice and judge president of the High Court to one of consultation only, essentially placing the power solely in the hands of the president." Matyszak said the judiciary had also shown signs of succumbing to pressure from the military. "The conduct of Zimbabwe's lower courts after the January protests showed the magistracy is equally compromised and intimidated. It allowed the judicial process to be used for repression," he said. "People were hauled arbitrarily before the courts by the police, routinely denied bail and subjected to fast-tracked mass trials that allowed little time to prepare a defence. "In one of these cases, the prosecutor — when the magistrate asked the obligatory question as to why he was opposing bail – thought it sufficed to say he had been instructed to do so by Zimbabwe's military commander." A number of opposition, civil society activists and ordinary people arrested over the January 14 protests have been acquitted by the courts due to lack of evidence. One of the acquitted was Chibaya, who had been accused of inciting public violence. Midlands provincial magistrate Charity Maphosa said it would be embarrassing to put Chibaya on his defence after two state witnesses failed to turn up for the trial. The United States and Britain have indicated that they are keenly following the treason trials amid accusations that Mnangagwa's government is unfairly targeting its critics. A treason charge attracts a death sentence or life in prison in Zimbabwe. Mnangagwa has previously stated that he is opposed to the death sentence and wants it scrapped.